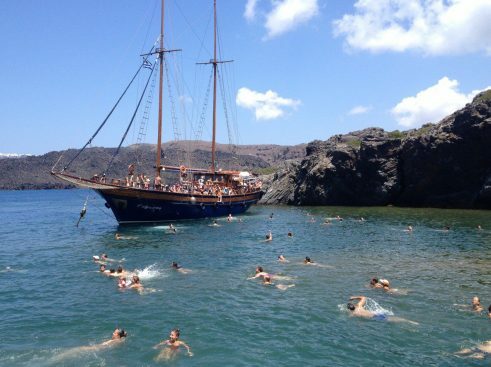 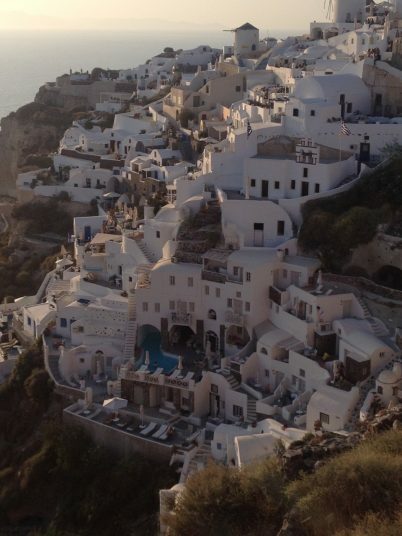 When we think about Greek islands, I believe Santorini is the first one that pops up in everyone’s mind. 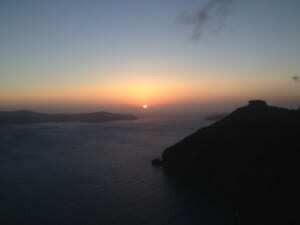 This group of volcanic islands in the Aegean Sea is considered one of the most beautiful islands in the world. 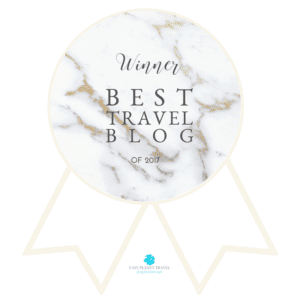 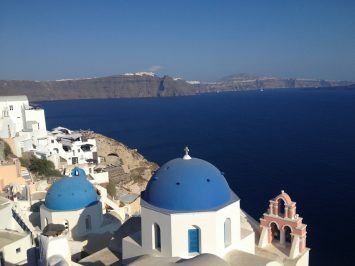 Santorini has a perfect combination of archeological sites, exotic beaches, an active volcano, breathtaking sunsets that are all part of its romantic and picturesque scenery. 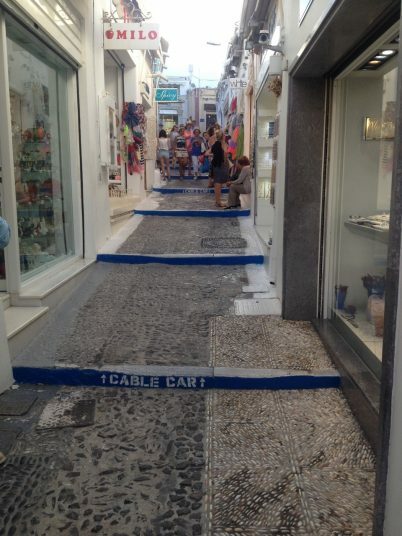 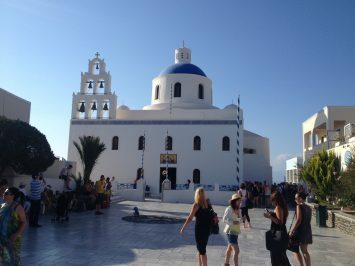 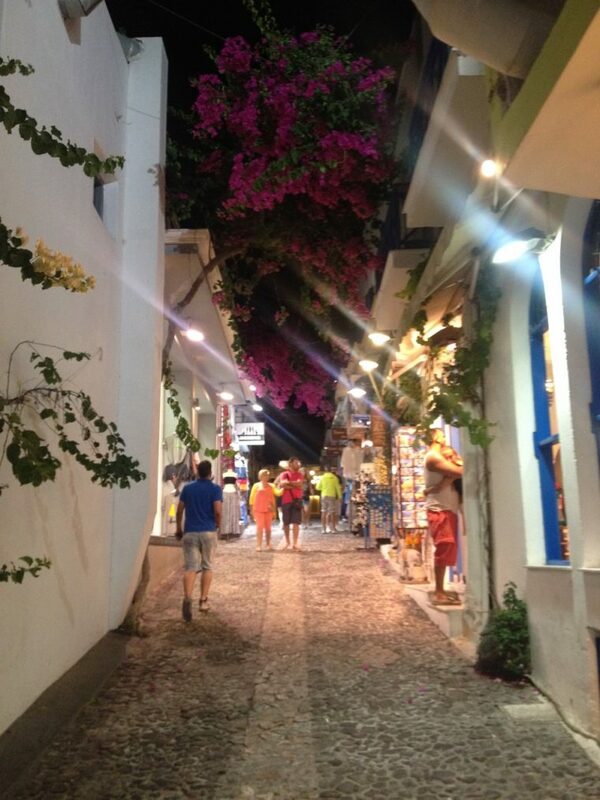 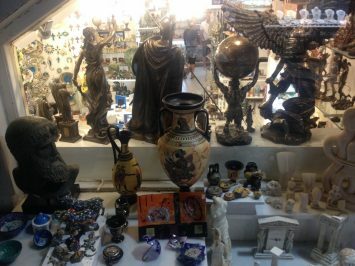 Fira town: very charming and one of the most important town in Santorini. 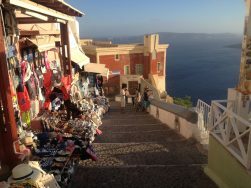 There are of lot of restaurants and stores in this area. 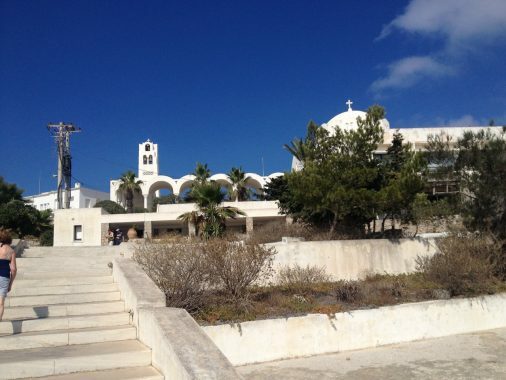 The bus terminal which serves the whole island is located here. 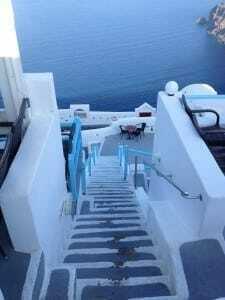 Path from Fira to Oia: there is a 10K path from Fira to Oia overlooking the caldera (volcano) and providing stunning vistas. 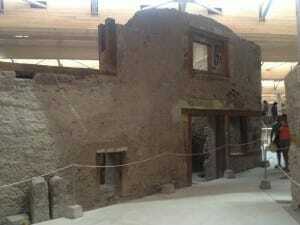 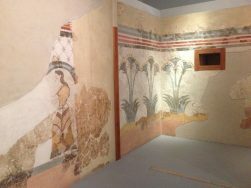 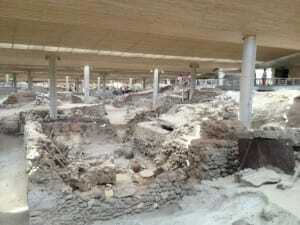 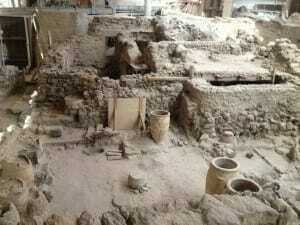 Akrotiri Archeological Site: a Minoan Bronze Age settlement destroyed around the 1600 BC. 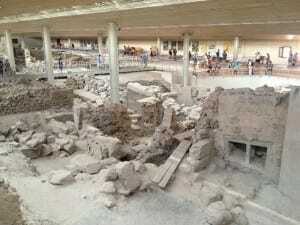 It’s much more interesting if you hire a guide when you visit this archeological site. 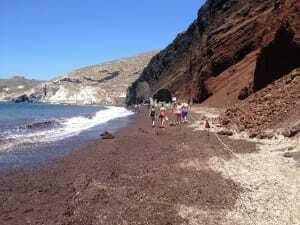 Red sand beach: a very rare and exotic beach. 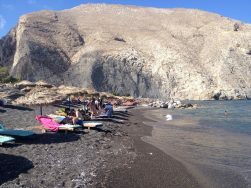 Because there is no much room for sunbathing many people go there to just take a look at. 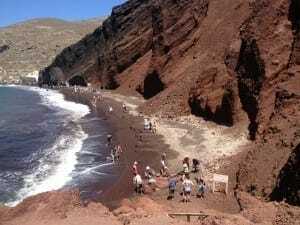 Access to the Red sand beach. 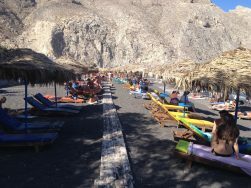 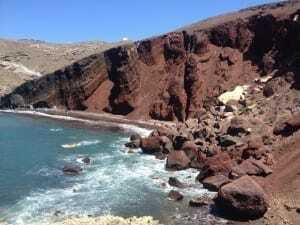 Black sand beach: there are two black sand beaches in Santorini: Perissa and Kamari. 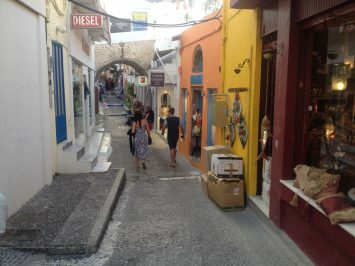 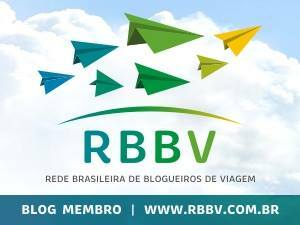 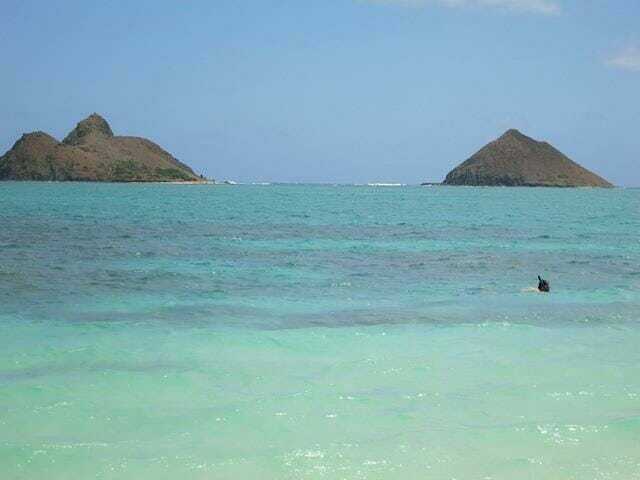 If you visit the island, you should go to at least one of them. 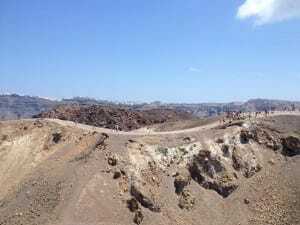 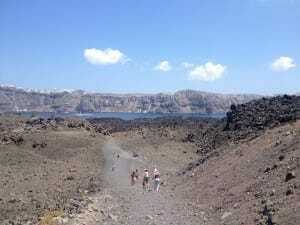 Nea Cameni (volcano): there is an active volcano in Santorini and you can do a hike to visit it. 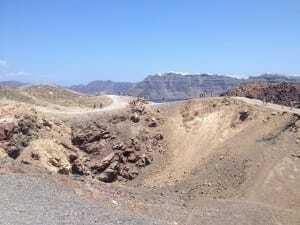 Which is not easy by the way, because of the heat and the harsh terrain. 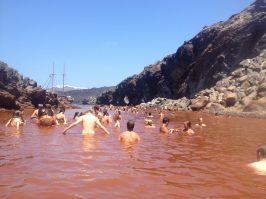 Hot Spring: it might seems too crazy going a hot spring in the middle of the Aegean Sea, but the water here is so nice that you will not want to leave it. 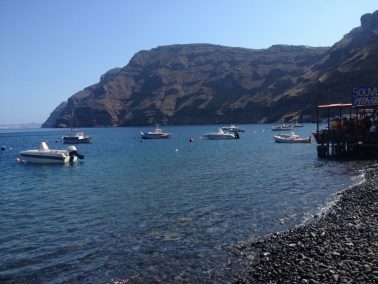 Therasia: perfect for chilling in and getting away from the crowds. 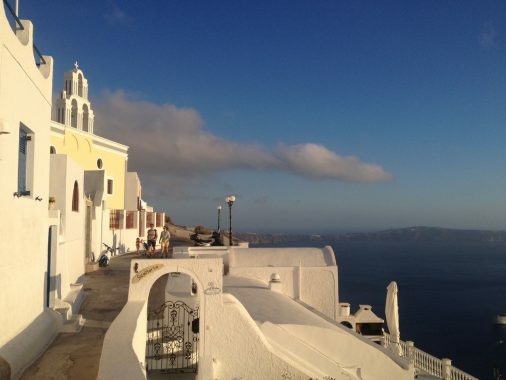 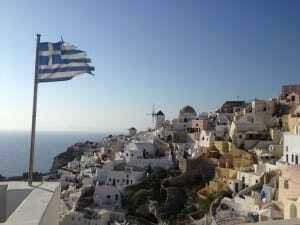 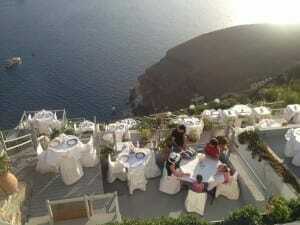 Oia (Ia): the most famous and beautiful part of Santorini, full of white-washed houses and blue domed churches. 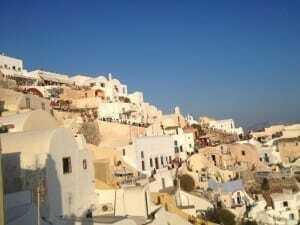 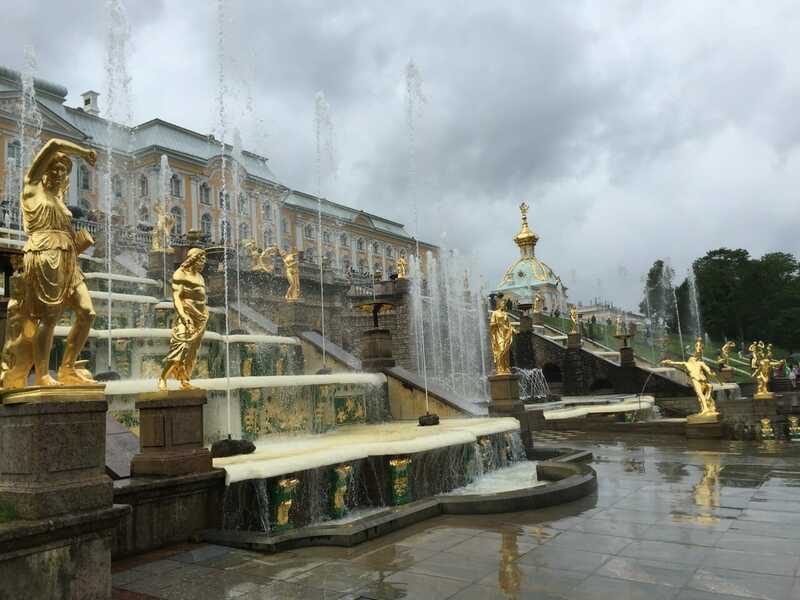 This city is very touristy and expensive comparing with the other ones. 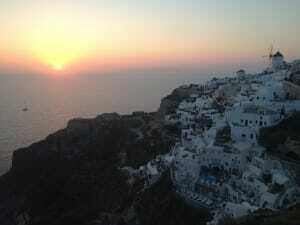 Watch the sunset: every day people gather to watch the sunset, which is claim to be most beautiful in the world. 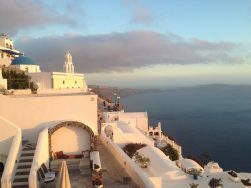 The sunset in Santorini is really a big thing and if you are in Oia and want a great spot you need to get there in advance, specially by the castle. 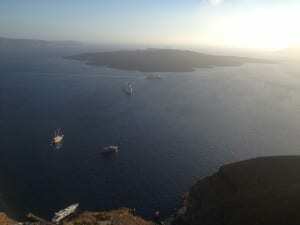 Hundred of tourists watching the sunset in Oia, Santorini. 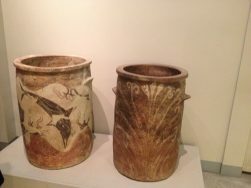 Archeological Museum of Thera: a small museu with an important collections of vases and artefacts from the ancient times.